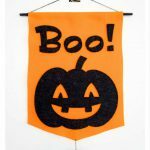 I love Halloween, my Cricut, and banners. They’re a perfect match! 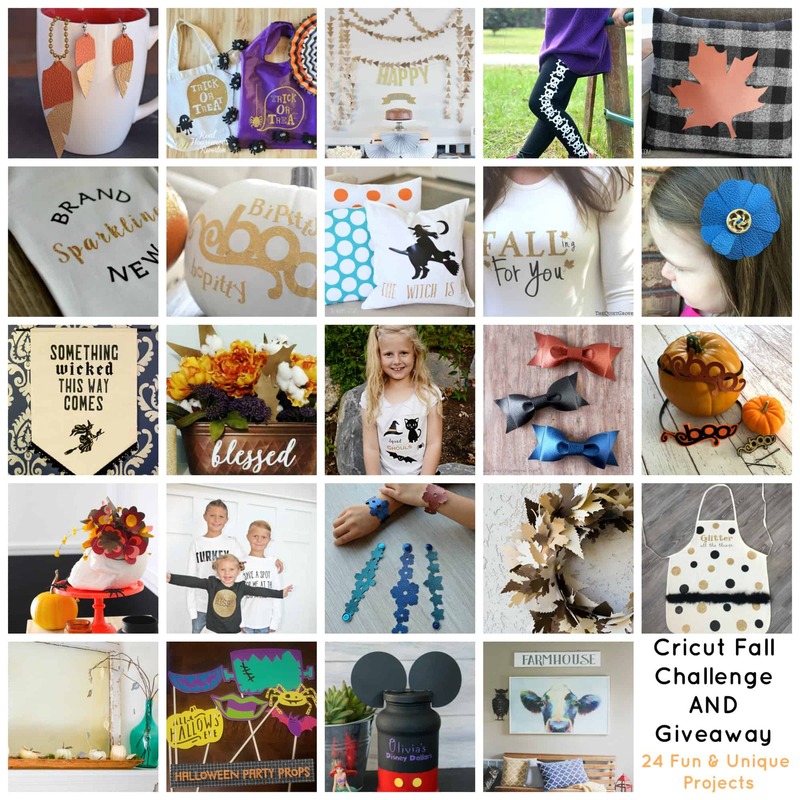 I’m participating in the Fall Cricut Challenge and am so excited to share my project with you! If you’re new around here, I love Halloween. Like LOVE. 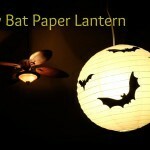 There was a point in time when I considered having a Halloween craft only blog. I’m known for going overboard with decorations, so any excuse I have to make more is always welcome. 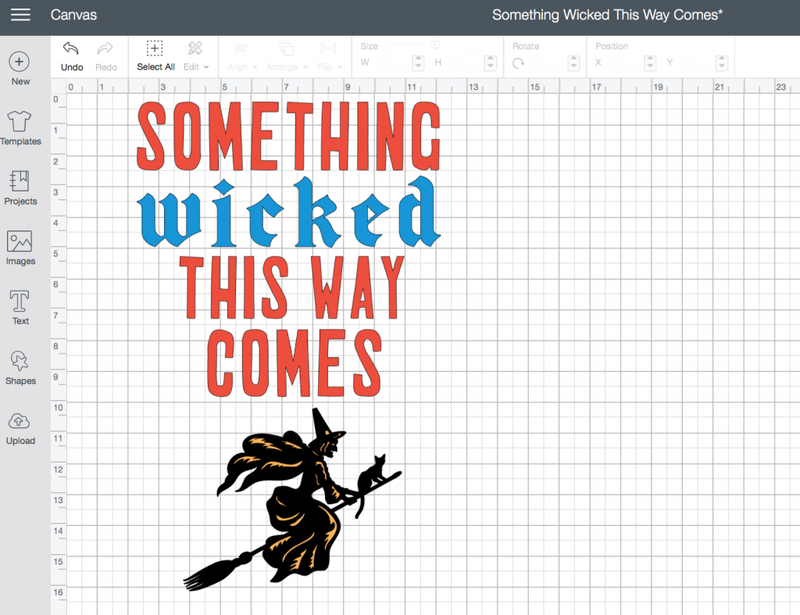 I couldn’t get “something wicked this way comes” out of my head, so I ran with it for this banner. 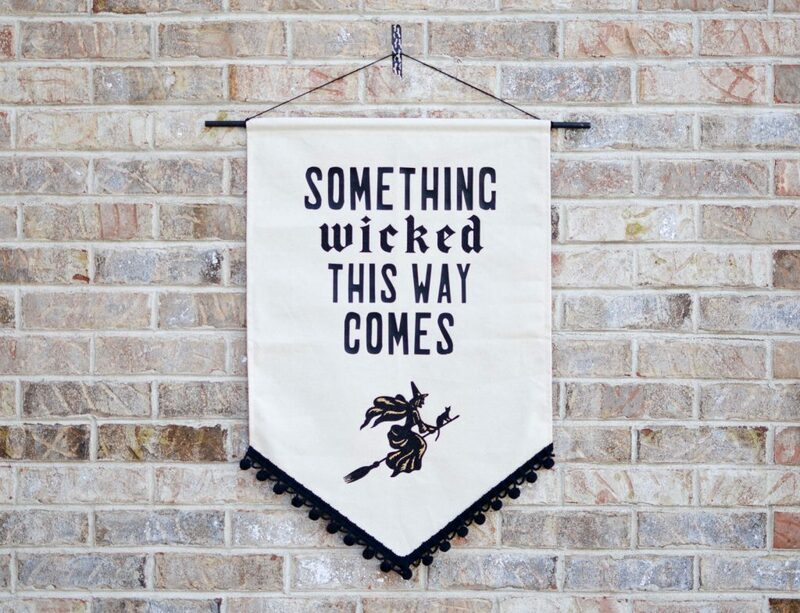 I’m so happy with how my Something Wicked This Way Comes Banner turned out! 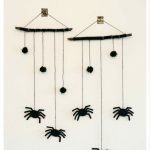 It’s such a fun Halloween decoration and a really fun addition to our holiday decor. 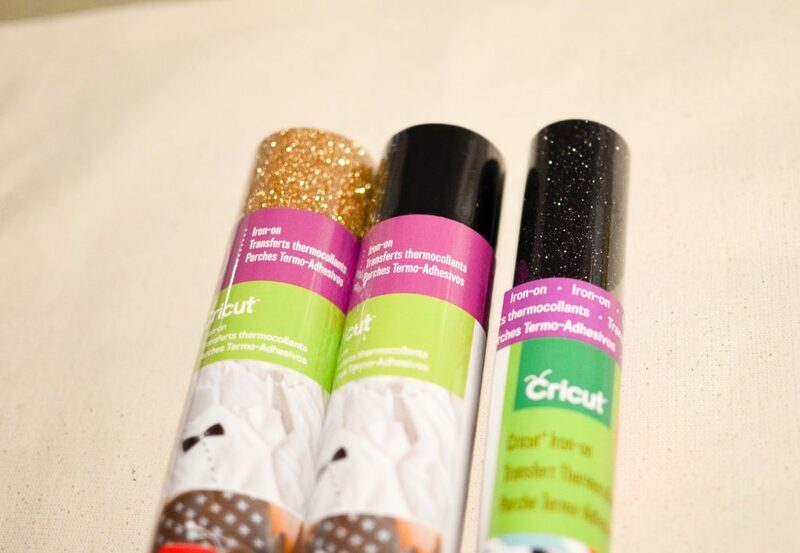 The rules of the challenge were simple–we each received a box with some product and had to use at least one item in a Cricut-based project. 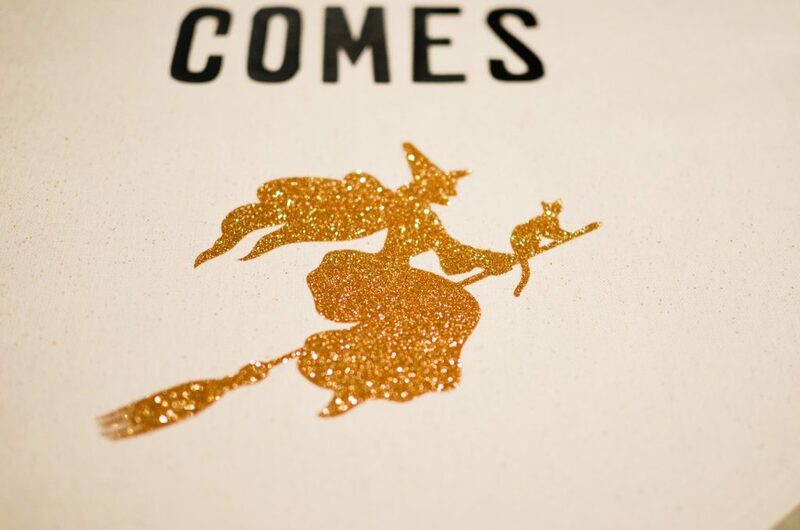 You’ll be seeing projects with the rest of the goodies I received soon, but for this one, the gold glitter iron-on vinyl and black iron-on vinyl jumped out at me as perfect for a Halloween project. 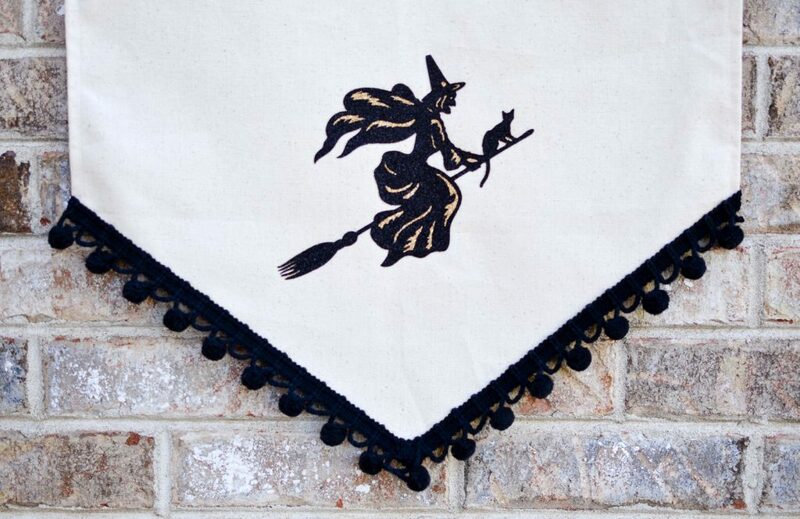 I added in some black glitter iron-on vinyl from my own stash, a canvas banner (18×27), and some black pom pom trim. 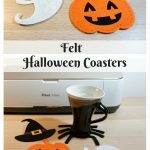 You can use either your Cricut Maker or Cricut Explore Air to make this. 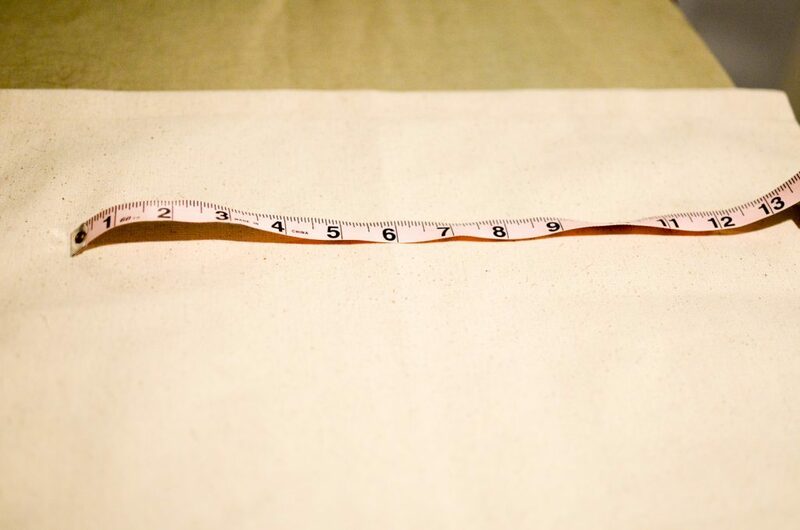 I measured the banner so that I knew how large to make my cuts. I didn’t want it to go end to end and after playing around a bit, I decided that 12″ was the width I wanted for the largest cut. 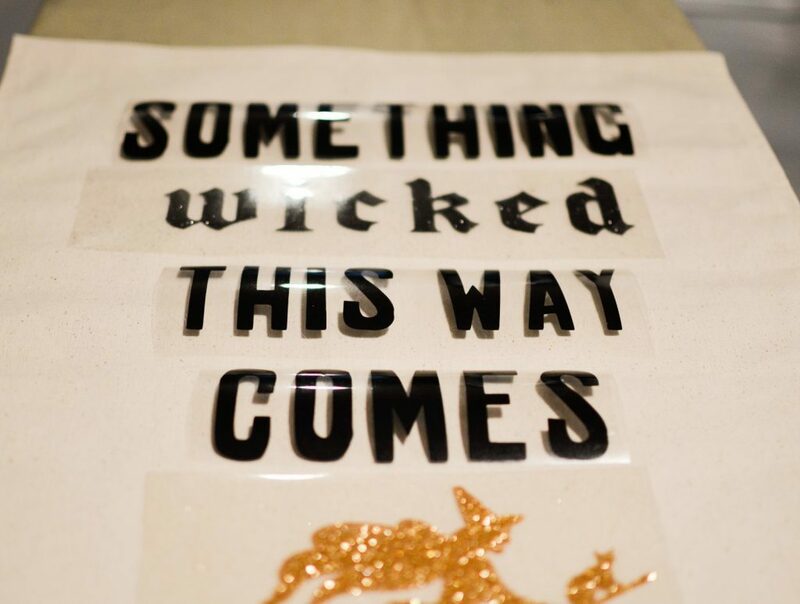 Use the Something Wicked This Way Comes design to pull up everything you need. All of the elements are free in Design Space. 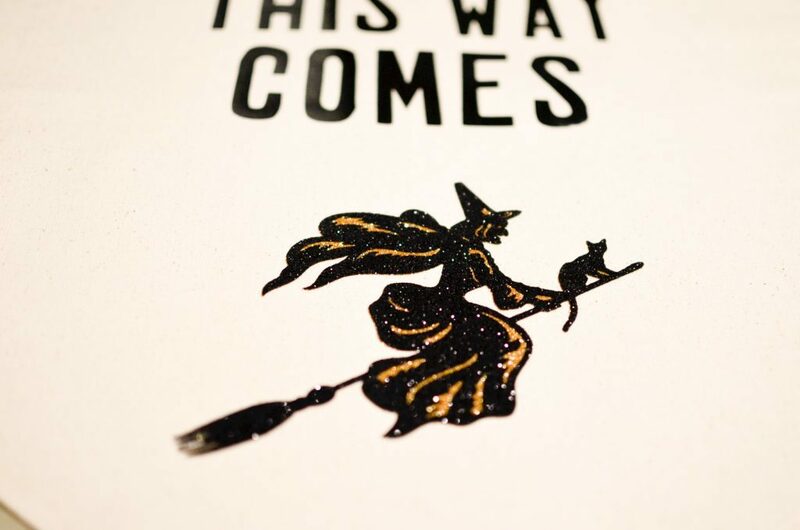 I used the regular black iron-on for Something This Way Comes, the black glitter for Wicked and the top layer of the witch, and gold glitter for the bottom layer of the witch. Remember to check the reverse for iron-on box when you cut!! 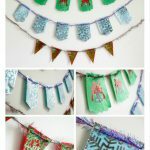 Add the pom pom trim to the bottom of the banner. 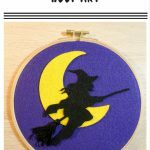 You can stitch it on or use glue–whatever works for you! I am so insanely happy with how my Something Wicked This Way Comes Banner turned out! It was so easy to make and I smile every time I walk past it. This was a crazy fun challenge and I ended up with something that will be a part of our Halloween decor for many (many!) years to come! I love this! 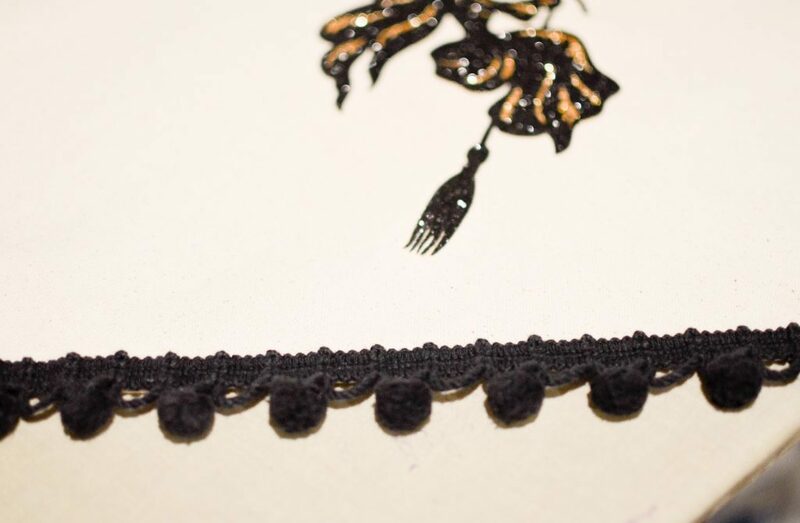 I’m not sure if it’s the pom pom trim or the black and gold together– super cute! It was fun doing the Fall Challenge with you! 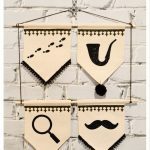 Starting with an already made canvas banner makes this so easy! Love it! I love love love this! 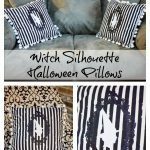 I love how you layered the vinyl on the witch! I’m so glad you shared the cut file. 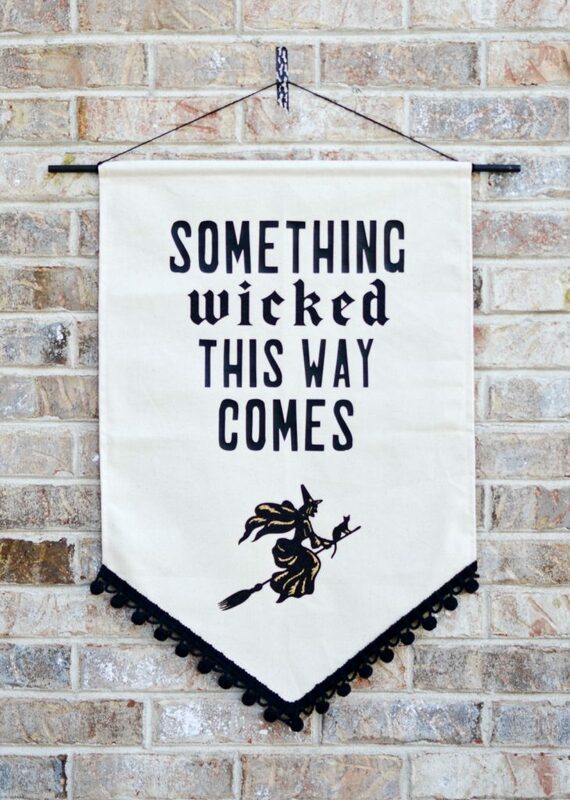 I love this and definitely need to add it to my Halloween decor this year. Thanks for sharing.